There's something about the words "kitty" and "cozy" that just seem to go together, don't you think? This special-order Cozy is so bright and cheerful. It's sure to brighten up any crafting area! 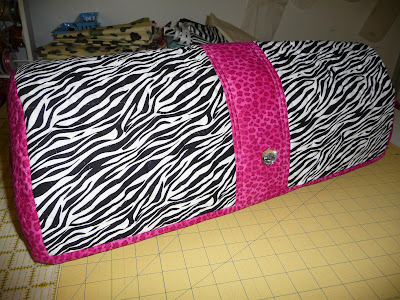 This brand-new Cozy was designed by Michelle (scrappinwithmybug.com). Isn't it amazing? She has great taste, doesn't she? I love the contrasts in this Cozy. 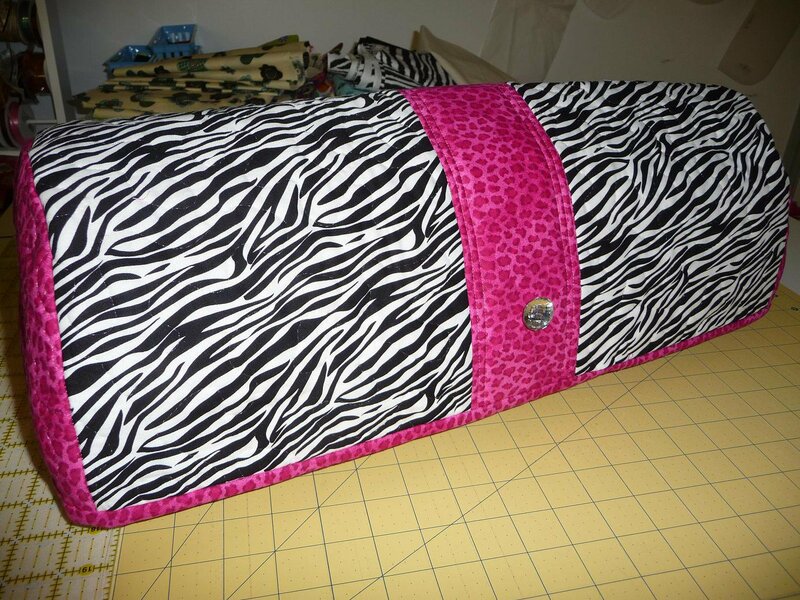 The black/white, pink/black, leopard/zebra. It's so hot it just sizzles, doesn't it? :) And, of course, Michelle picked out the perfect finishing touch...a girl's best friend! Okay...it's not a real diamond, but it does sparkle just like one. The winner of my Minnie Mouse Cozy (pictured below) was Kim. I hope she loves it--I sure do! It features Minnie (she's workin' it!) on a light pink background, accented by red/white polka dot fabric. The perfect finishing touch is a hand-crocheted flower crocheted by my sister--thanks, Linda!! Another Disney Pixar blog hop is scheduled for April 30-May 1 and I've been asked to participate as a stop on the hop :) (Sounds like a Dr. Seuss book, doesn't it?) I CAN'T WAIT! I already have a new fabric picked out and I'm dying to work on my new Disney Cozy. You are going to LOVE it! :) Hope to see you there!